Most facility managers (fms) are well aware of the environmental impact of their buildings. According to the Environmental and Energy Study Institute, buildings account for 39% of carbon dioxide (CO2) emissions in the United States per year, which is more than any other sector, including industry and transportation. To help address the issue of excessive use of energy in commercial buildings, President Obama signed the Energy Efficiency Improvement Act of 2015 into law in April 2015. Among many things, this legislation will make commercial building energy usage information available to the public with the intended goal of prompting corporations to become more aggressive in their efficiency efforts. Although fms are quite familiar with the concept of building automation, many are aware of its limitations. Legacy building automation systems (BASs) could generate energy-related data, but they lacked the ability to analyze it in a way that could support more strategic decision making for the fm on behalf of the corporation. In addition to the new levels of insight, BEMSs are also able to gather and analyze energy information from any kind of space. For instance, fms who are in charge of streamlining operations for a university that has several different types of buildings (like classrooms, dormitories, gyms, labs, libraries, and so on), can now use BEMS to look at the entire data picture in all of the buildings to formulate a more cohesive strategic approach. By offering this new type of insight, BEMS a natural fit in several sectors, from education and healthcare campuses to corporate and retail facilities. Currently, North America accounts for the majority of the demand, due to various government initiatives (like the Energy Efficiency Improvement Act of 2015) and the increasing number of smart buildings in the country. Supported by innovative software, hardware, and service offerings from leading vendors, the BEMS market will reach $5.6 billion by 2020, according to predictions from the Navigant Report. For more information on the growing importance of BEMS to fms, request a copy of the full Navigant Research Leaderboard Analyst Report: Building Energy Management Systems-Assessment of Strategy and Execution for 14 Building Energy Management System Vendors (featuring Schneider Electric) by clicking this link. 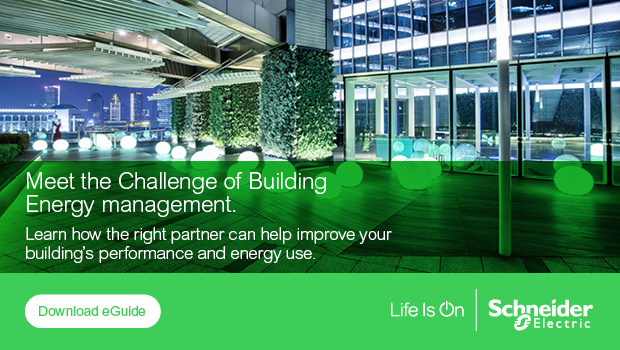 Helping Facility Managers Decode The Language Of BEMS Better Sustainability with BEMS – a Building Energy Management System Building Energy Management Systems as the Technological Game Changer Tackling The Terminology: What Is A Building Energy Management System Anyway?